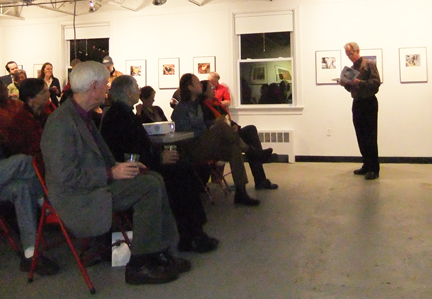 We had a fine crowd at the poetry reading, slideshow, & booksigning last night. Thanks to all who came, helped, & inspired us! We plan to hold more such events. Special thanks to ArtWorks for making it possible! This entry was posted on February 12, 2011 at 12:55 pm and is filed under Found Heart Photos. You can follow any responses to this entry through the RSS 2.0 feed. You can leave a response, or trackback from your own site. Let me know if you’re ever near Portland, Oregon … I’ll BE THERE!